Looking for a tasty, all-natural way to treat the family? 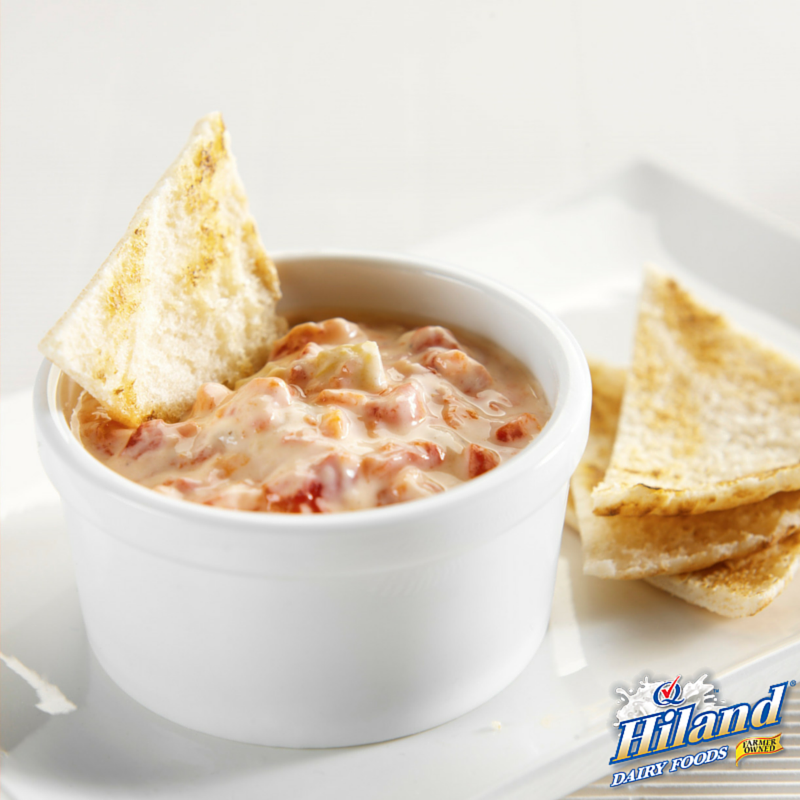 Well look no further, we’ve got a deliciously creamy dip that’s the perfect snack for hungry kids and adults alike! Best of all, it features Hiland Dairy Yogurt – made with NO artificial growth hormones. Puree red peppers in food processor or blender, drain any remaining liquid. Add remaining ingredients and mix by hand until blended, refrigerate. Serve with assorted cut vegetables or pita wedges and enjoy!